Packaging solutions for smart companies. Delivering corrugated boxes and packaging supplies to MA, RI, & CT for over 80 years. Offering fast FREE delivery And Just-In-Time warehousing, Grimes Box Co. Supplies corrugated cartons / boxes and packaging supplies to MA, CT, & RI. Helping companies to reduce costs and increase efficiency, we have been the leader in packaging quality and service since 1931. Companies love Grimes. We think you will too. Contact us now for rapid response answers, quick quotes, or just to place an order! Fast free delivery of your corrugated boxes and packaging supplies in MA, RI, & CT.
We closely manage your custom box inventory levels in our warehouse so you’re NEVER without a box! The personal attention we give our customers and to the maintenance of their inventory is a matter of enormous pride to Grimes Box Co., Inc. Our customers appreciate knowing that their inventory will always be on hand when they need it. Call us today and let us know how we can best serve your packaging needs. 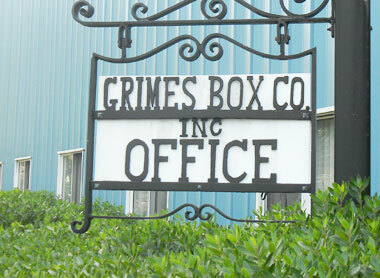 Grimes Box Co., known today as a corrugated box distributor, was originally a manufacturer of plywood boxes. In 1931 Joseph Grimes purchased a division from Atlas Plywood and renamed it Grimes Box Co. GBC started manufacturing corrugated boxes in the early 1950’s. Around that same time, Joe’s youngest son Brian (current President and CEO) began working there at age 16. In the early 70’s, Brian took the helm at GBC, decisively navigating the company for over 40 years with great success, to where it currently is today. In 2010 a third generation began, with Brian’s daughter Molly joining the company. In all that time, Brian hasn’t forgotten his dad’s strong work ethic, loyalty and ability to make customers feel a part of the family, which he has taken great care to instil in his daughter and the rest of the GBC family. We have the following products in stock and specialize in custom boxes. Check out our extensive assortment of common box sizes available now! Specializing in custom boxes to meet your printing, style & size requests. Packaging supplies and more! If you don’t see what you’re looking for just ask, we probably have it! If you’d like a quote, call or send us an email. © 2015 Grimes Box Co., Inc.